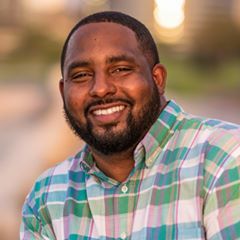 Pierre Evans is the CEO of 5th Quarter Living, an organization that allows him to speak to and work with entrepreneurs, teachers, students, corporate employees and small business owners to help take their goals to the next level. Pierre Evans is a successful entrepreneur, speaker, coach and author despite being a high school dropout. Pierre has worked with the US Air Force, The Canadian Armed Forces, and Michigan State University just to name a few. He will share some best practices on the importance of grit when it comes to goal setting and how to DOMINATE your goals in 2019.